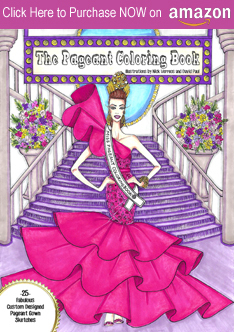 Home » Beauty Pageant National Costumes » Latest » Miss Universe 2017 » Miss Universe 2017 National Costumes » Miss Universe National Costumes » Sashes and Tiaras » Sashes and Tiaras Miss Universe » SASHES AND TIARAS.....Miss Universe 2017 NATIONAL COSTUMES: Sneak Peak of 25 Costumes! SASHES AND TIARAS.....Miss Universe 2017 NATIONAL COSTUMES: Sneak Peak of 25 Costumes! A HUGE THANK YOU to the FAB National Costumes Instagram for some of the photos! 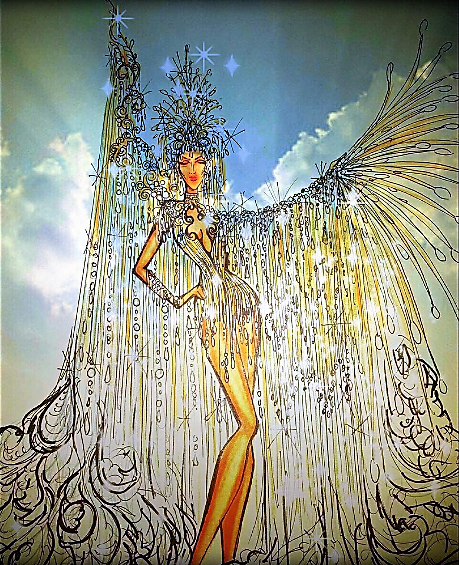 The National Costumes are always a big part of the Miss Universe pageant and I have been scouring the web to see what they might be wearing and so...here is a "Sneak Peak" of some of the costumes the international constants vying for the title of Miss Universe 2017 have put out there as their National Costumes. Miss Universe Australia Olivia Rogers: Miss Universe Australia's national costume which she debuted on the Australia "Today Show", depicts Australia's most famous landmark--the Sydney Opera House--during the New Year's Eve and Vivid Festival. 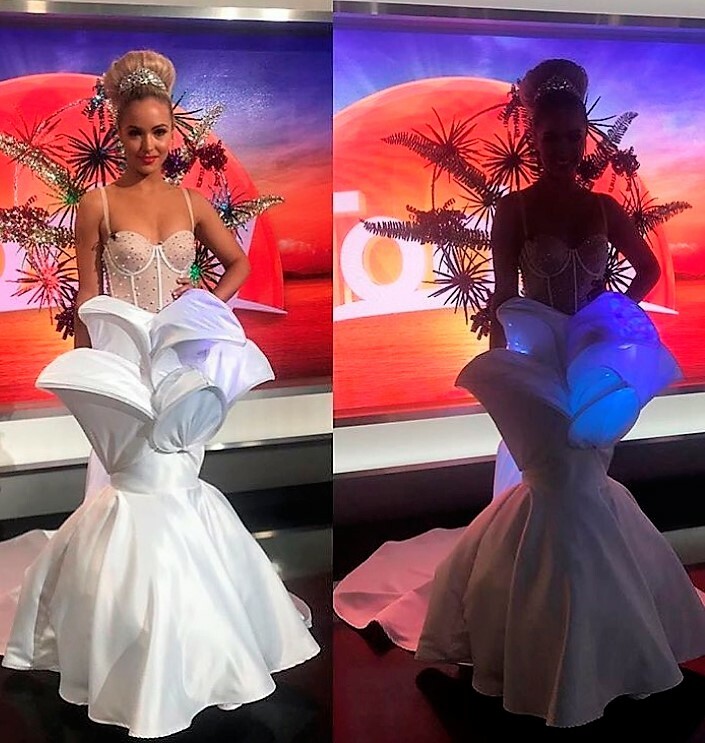 The mermaid-shaped gown was designed by bridal and couture designer Begitta and as you can see it has lights built in and it glows in the dark. It was created by Indonesian designer Rinaldy Yunardi and he was moved by the beauty of the Borneo rain forest and Dayak Heritage. 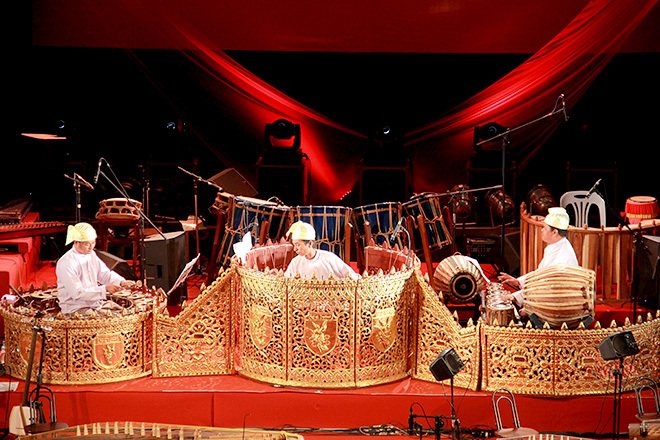 The "rattan" in the costume was made of recycled paper. 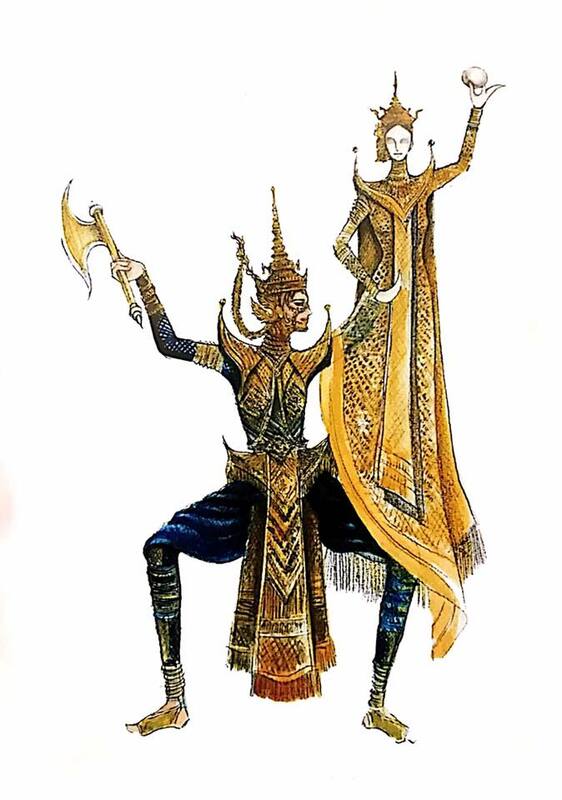 The costume aspires to portray the Warrior's desire to protect nature. 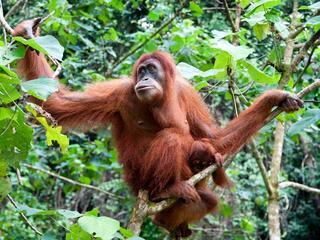 The orangutan is on the Warrior's back just as the Dayak women would cradle their own children with love when venturing out for a hard day's work. Miss Universe Israel Adar Gandelsman: Miss Universe Israel will be going the "Wonder Woman" route with her national costume. Designed by Aviad Arik Herman, it is a way to give an homage to "Wonder Woman" actress Gal Gadot who hails from...you guessed it: Israel! 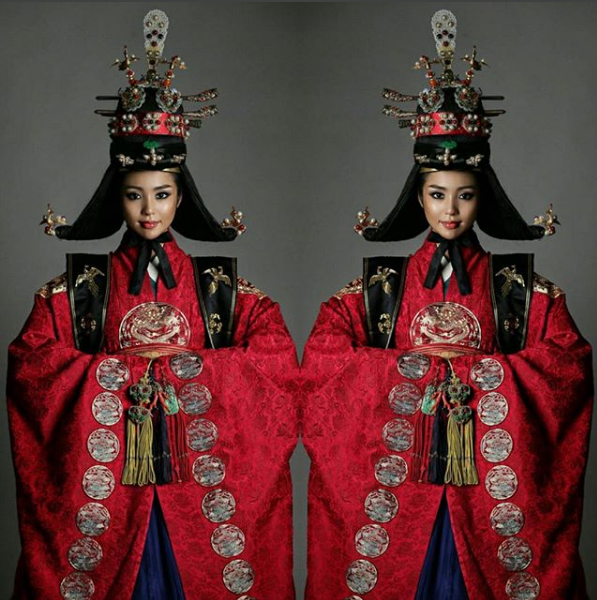 Miss Universe Korea Sewhee Cho: The gorgeous Miss Universe Korea gave a hint of her national costume in this photo which shows a very extravagant Hanbok (traditional Korean dress) worn by a Princess or a very formal bride. 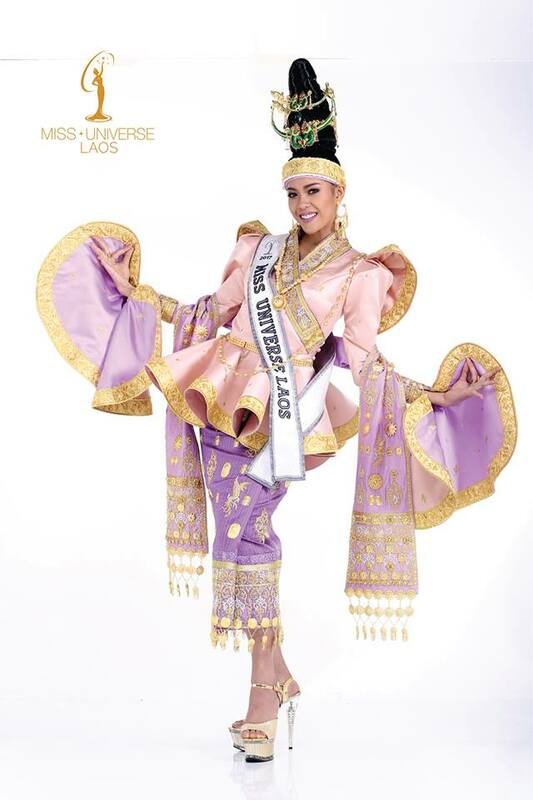 Miss Universe Laos Souphaphone Somvichith: Inspired by the Luang Prabang traditional dress, Miss Universe Laos' national costume is made in beautiful silk using powder pink, lavender as the main colors with gold embroidery, all topped off by a fabulous headdress. 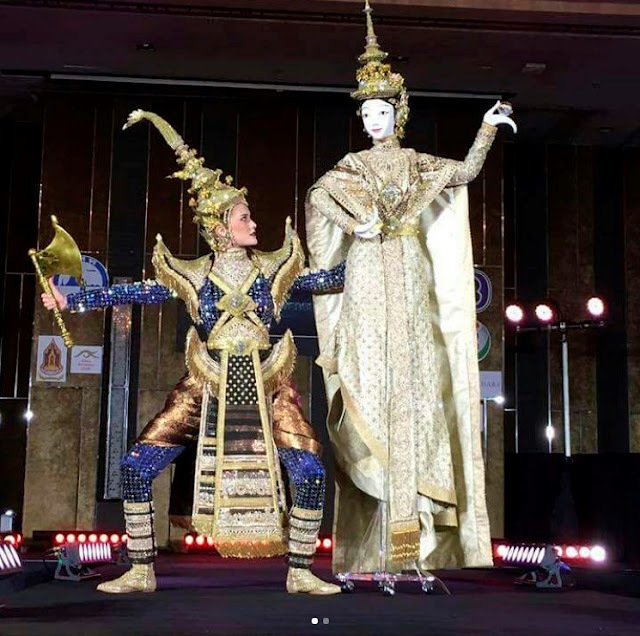 Miss Universe Malaysia Samantha James: One of the most talked about national costumes for the upcoming Miss Universe 2017 Beauty Pageant is this one for Miss Universe Malaysia. 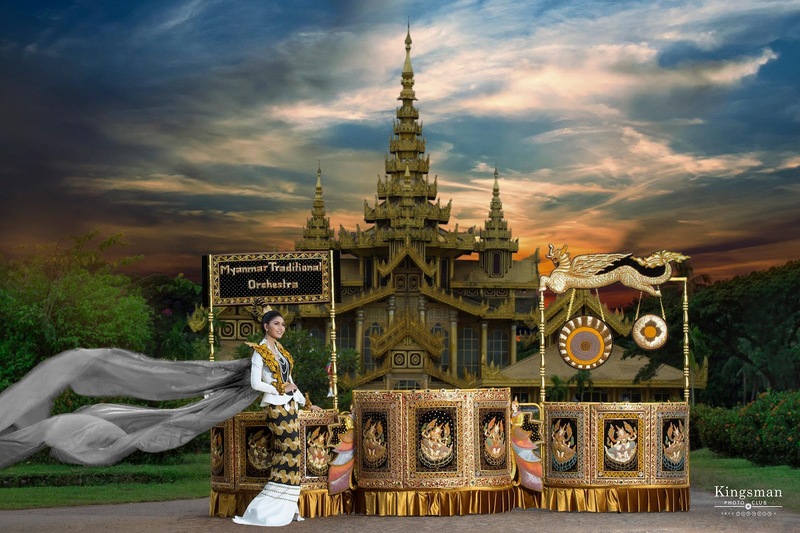 The costume is inspired by A DISH...in fact, by Nasi Lemak, the beloved national dish (usually served for breakfast) of Malaysia featuring fragrant rice cooked in coconut milk and pandan leaf. 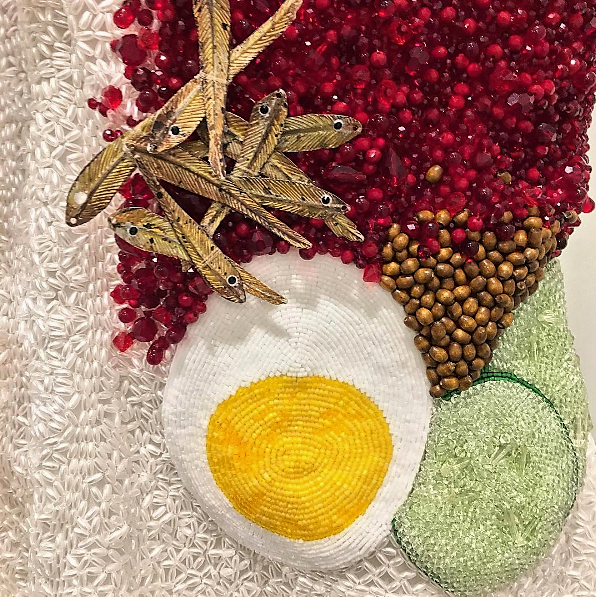 The dress designed by Brian Choo and features hand embroidered rhinestones to symbolize rice grains. 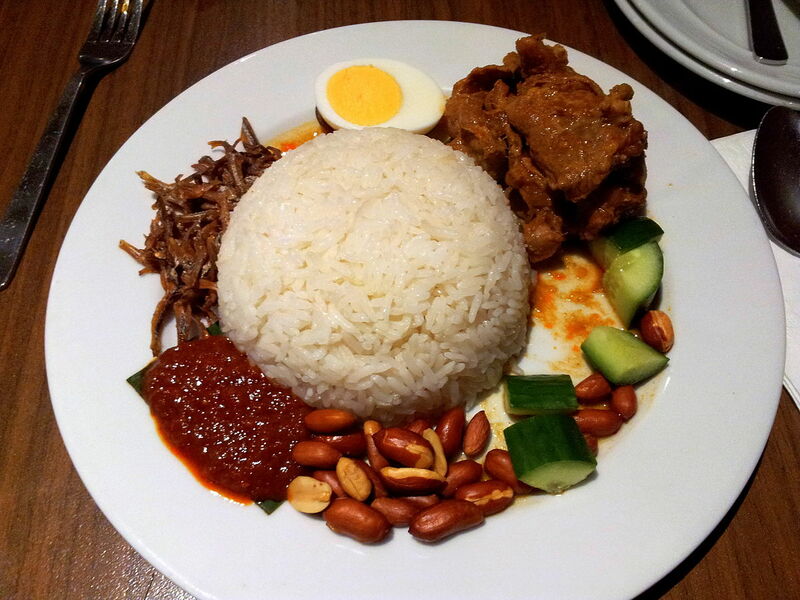 On the left side of the dress, there are red rhinestones to symbolize the spicy sambal that accompanies each Nasi Lamak dish. Complete with accessories illustrating other accompaniments such as sliced cucumbers, fried peanuts, anchovies and an egg! Just look at the close-up photo of all the amazing sequin work! 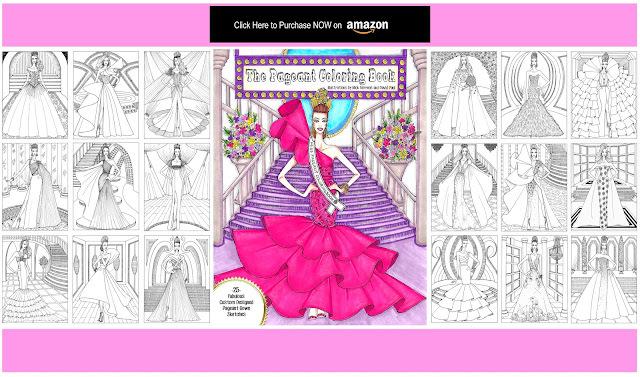 Speaking of work, the gown took 400 hours of craftsmanship and a month to make. OK, I could do without the anchovies (me NO LIKEY!) but otherwise, this costume makes me VERY HUNGRY! 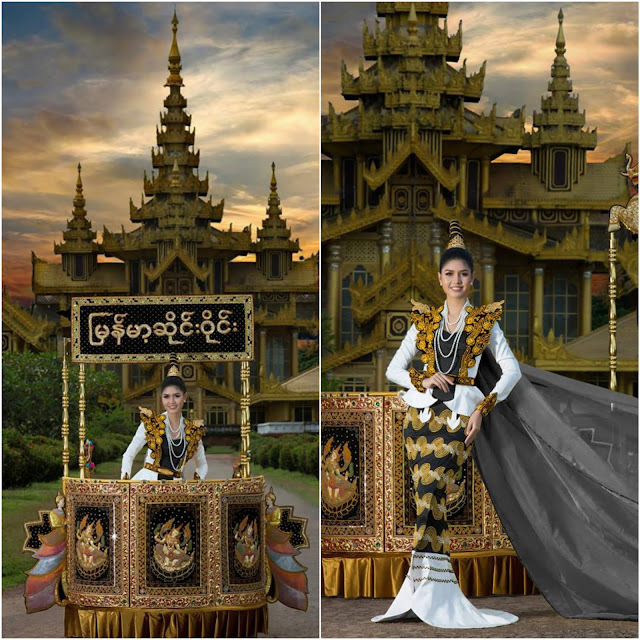 Miss Universe Myanmar Zun Thansin: There is always one--or two or three--Miss Universe contestants that "Fall Out" with a SUPER OUTRAGEOUS national costume and so far, it looks as if Miss Universe Myanmar takes this title! Her costume (it's not just her dress but THE ENTIRE STAGE is part of the costume!) 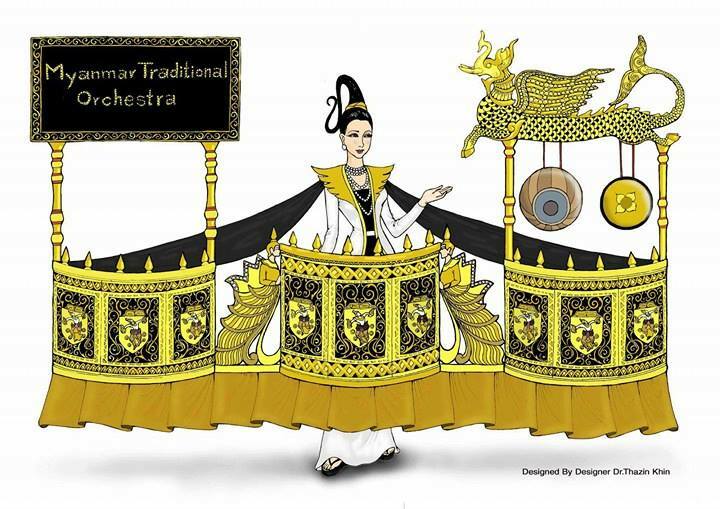 is inspired by Hsaing Waing--Myanmar Traditional Orchestra--a musical ensemble only found in Myanmar and usually played in very formal ceremonies which is composed of 13 traditional musical instruments. I don't know how she is going to transport this whole "costume" and get it through Customs but I cannot wait to see it onstage! Oh, and in case you're wondering, the "stage" has wheels! This was all designed by designer Dr. Thazin Khin. And God Bless Him! 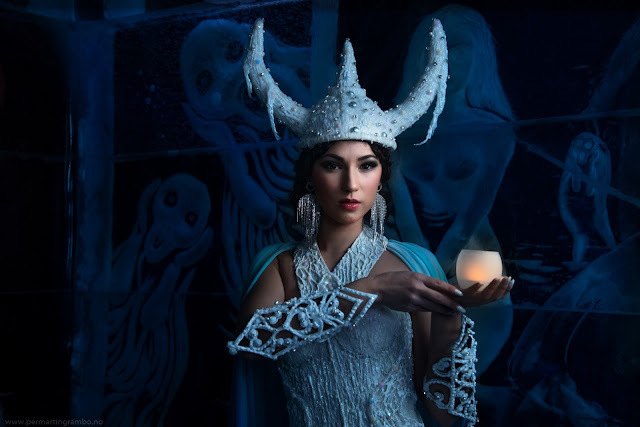 Miss Universe Nepal Nagma Shrestha: Titled "Embodiment of Spirituality", the first ever Miss Universe Nepal will be wearing this as her national costume. 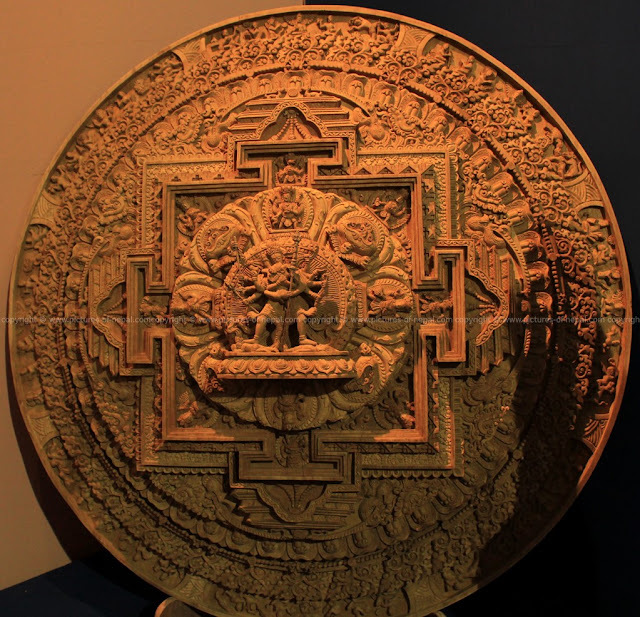 It was designed by Bina Ghale and her dramatic and very impressive headgear depicting a mandala (an ancient confederation marked by cultural, religious and political boundaries which lies in present day Nepal) was designed by Bijay Maharjan. 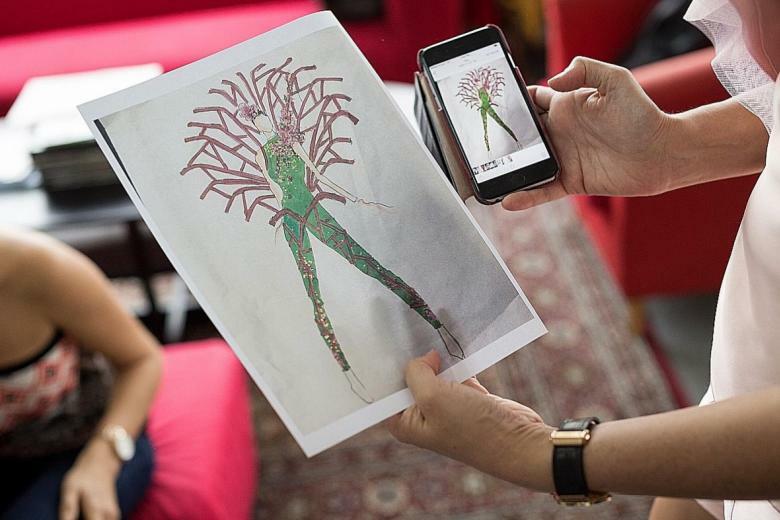 Miss Universe Singapore Manuela Bruntraeger: So far, all we have is a quick sketch--and the inspiration--for Miss Universe Singapore's national costume. It is inspired by the "Supertree" of Gardens By The Bay in Singapore and was designed by Moe Kasim. It looks like it will be a green sequined jumpsuit (depicting the leaf covered "trunks") and then she'll have a colorful "branches" protruding from the jumpsuit. Miss Universe Thailand Maria Poonlertlarp--Thai-Swedish Miss Universe Thailand Maria Lynn Ehren--also known as Maria Poonlertlarp--will be wearing this very elaborate and gorgeous costume entitled "Chasing the Light". After that infamous tuk-tuk costume from two years ago , this is a "traditional" change of costume pace! 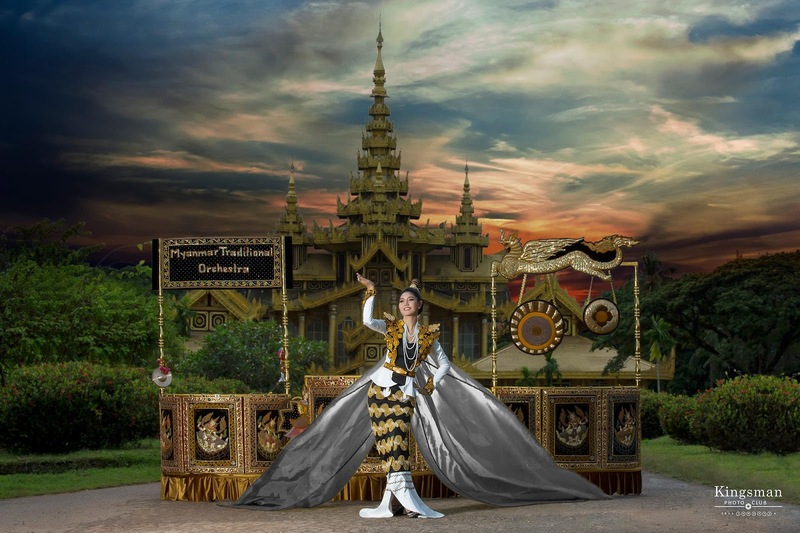 Designed by Prapakas Ansusingha, the costume is inspired by Thai mythology of Mekkala "the Goddess of Lightening" and Ramasoon "The Thunder God". The entire "costume" comes with the golden doll, which I assume she will roll onto the stage, to complete her national costume look. 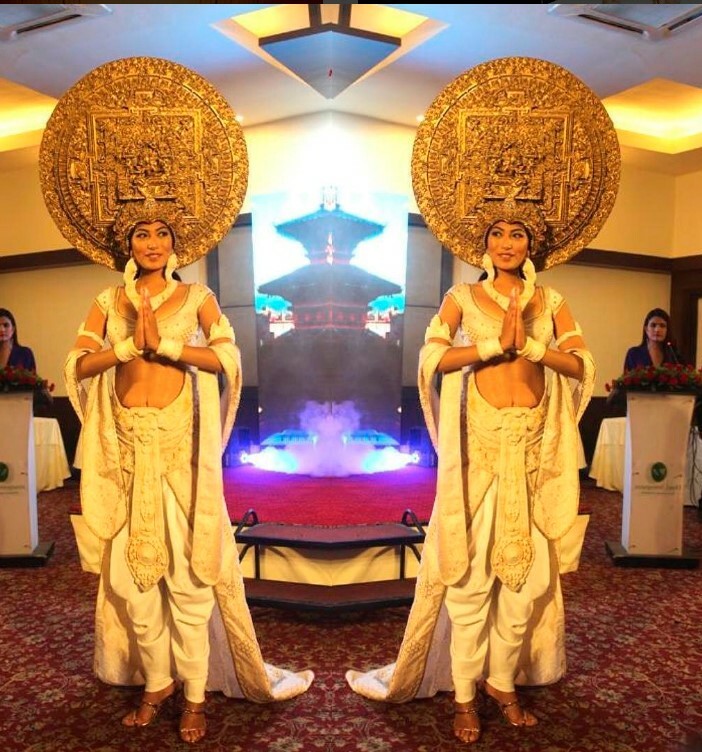 The incredible headpiece was created by Toi Marilyn. 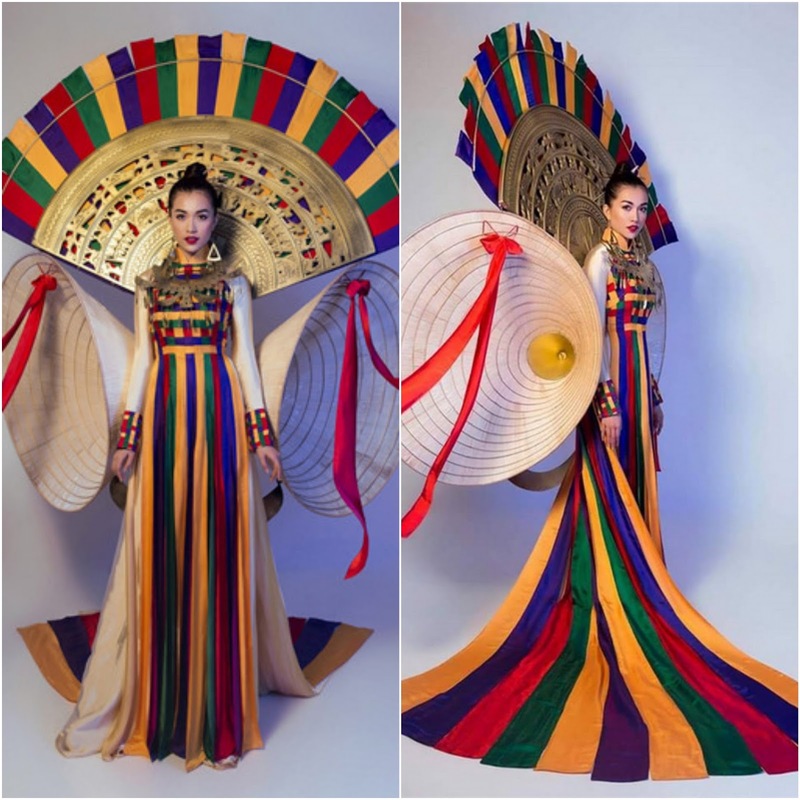 Miss Universe Vietnam Loan Nguyen--Fans, colorful bands, and rattan conical hats...yes, kids, it's Miss Universe Vietnam's national costume. 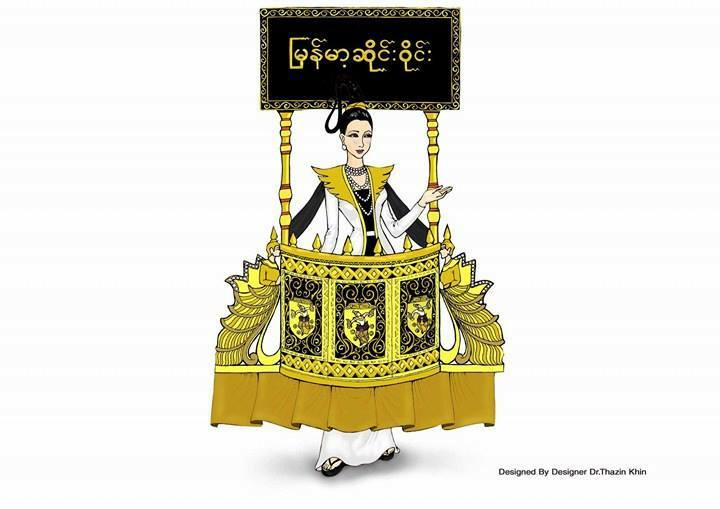 The stylized Ao Dai is made of natural silk, rattan and bamboo and was designed by Nguyen Huu Bihn. 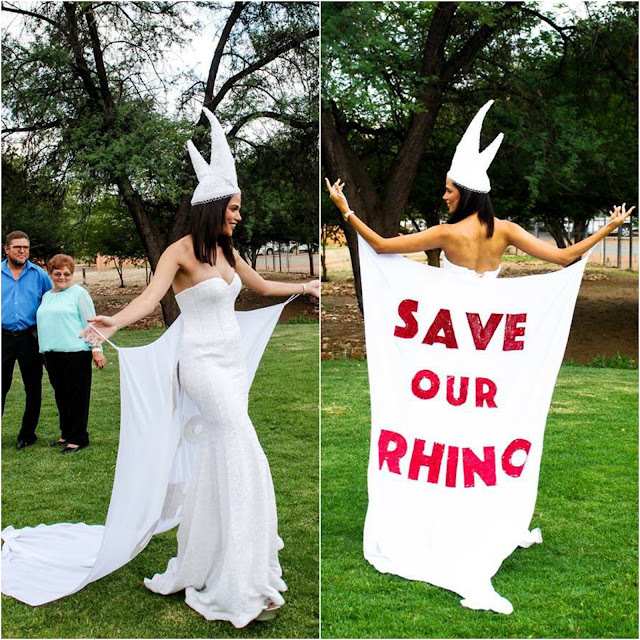 Miss Universe Namibia Sune January: Miss Universe Namibia's costume has a message and it is in red rhinestones: "Save Our Rhino". The design includes a strapless fit-and-flare gown with an attached cape displaying the studded message. She accessorized the costume with rhinoceros horn headdress. Miss Universe South Africa Demi-Leigh Nel-Peters: Nel-Peters’ national costume, which she showed off at her farewell, has been designed by Malikah Hajee and Lloyd Kandlin. The outfit is inspired by Namaqualand daisies, proteas and the map of Africa and is made with diamonds and gold and includes the artistic technique of vitreous enameling. 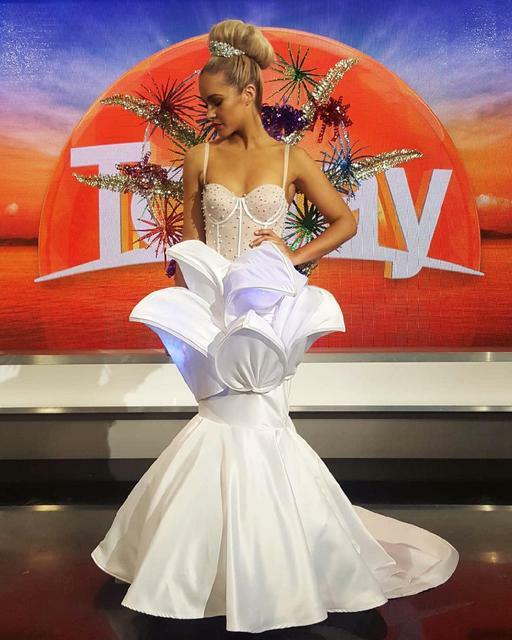 Miss Universe Austria Celine Schrenk: This is quite a somber departure from that fab Conchita Wurst costume Miss Universe Austria wore back at Miss Universe 2015. 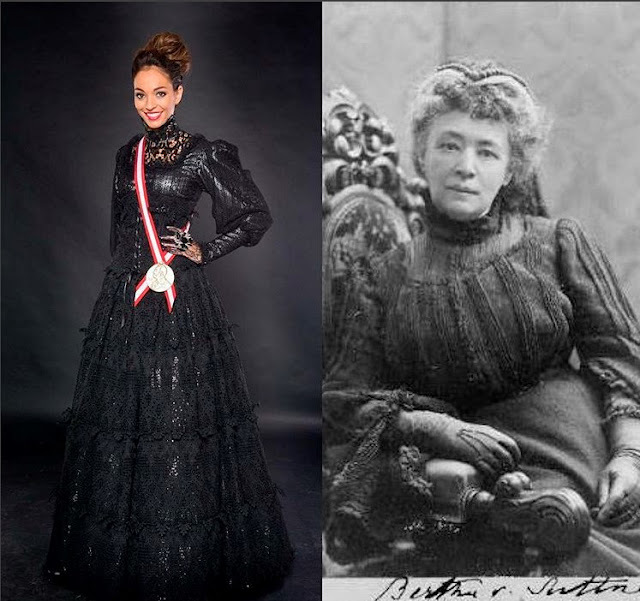 But, there's a reason: This national costume is an homage to Baroness Bertha von Suttner, the first woman to be awarded the Nobel Peace Prize and the writer of one of the most influential books of the 19th Century, the anti-war novel "Lay Down Your Arms" (1889). The dress was designed by Aviad Arik Herman who has created many of Miss Universe Austria's costumes (including the Conchita Wurst one! ), as well as Miss Universe Sweden and this year's Miss Universe Israel "Wonder Woman" costume. Miss Universe Norway Kaja Caroline Kojan: Kaja gave a hint of her national costume on her social media and it looks like she will be giving Viking Goddess Realness. The costume was designed by Hilde Marie Johansen. 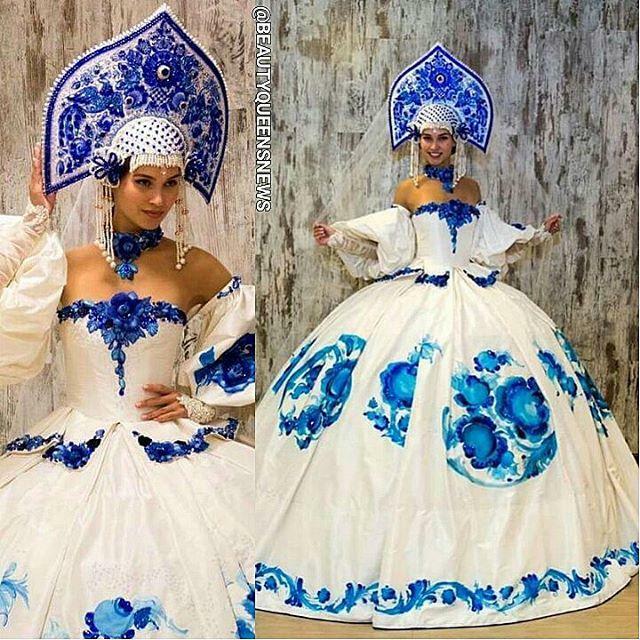 Miss Universe Russia Ksenia Alexandrova: Ksenia showed off her Miss Universe Russia national costume which features a big ballgown skirt, strapless bustier, billowy sleeves and that very iconic Russian headdress. This was inspired by the Sarafan "Boyarka"/Russian folk dress that features those blue hand-painted flowers. 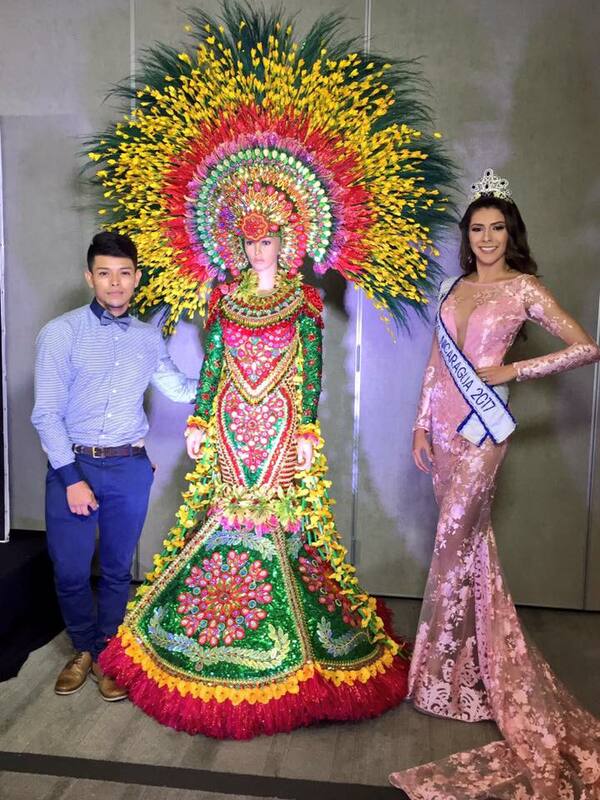 Miss Universe Bolivia Gleysi Noguer: This colorful costume was designed Rommel Rojas and was inspired by Bolivia's national flowers of Cantuta and Patuju. The flowers are seen protruding from her back and wrapped around her arms and were all sewn by hand. 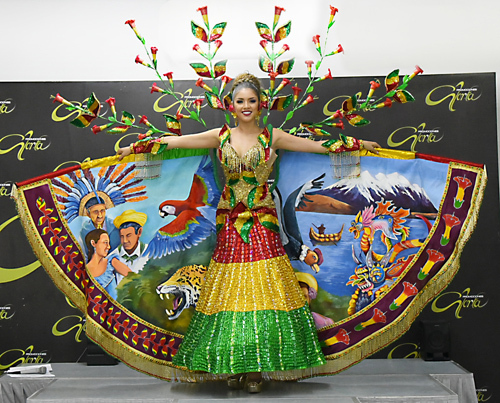 The costume also features a cape showing scenes representing all of Bolivia. 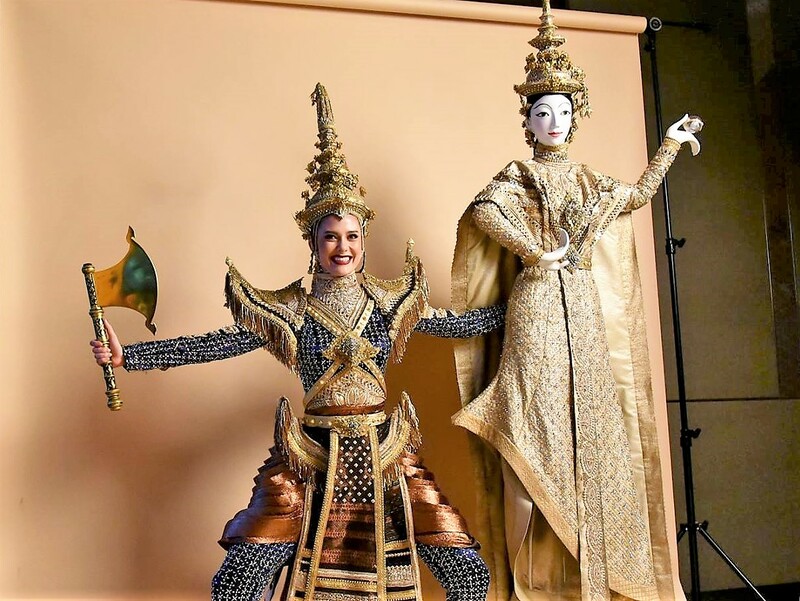 Miss Universe Canada Lauren Howe: Miss Universe Canada 2017 unveiled her national costume through social media. The feathered and sequined design is inspired by the Canadian Rocky Mountains. 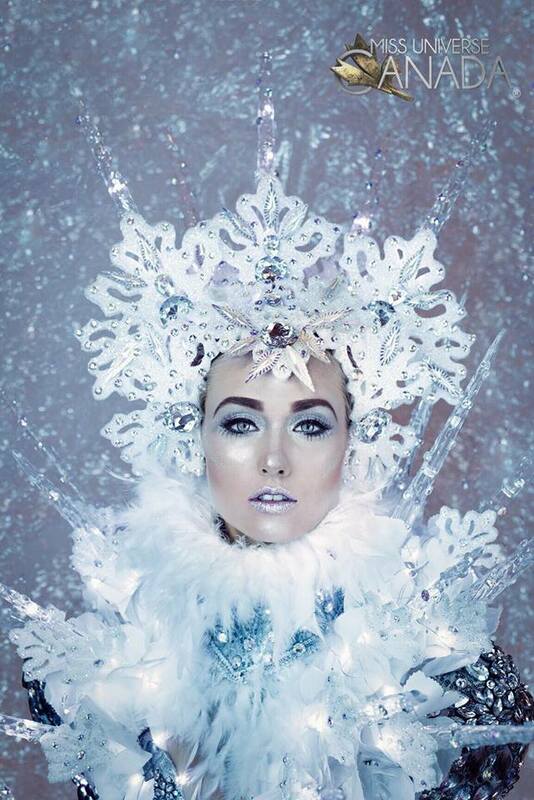 The look--designed by Bismark Martinez, is entitled "Queen of Ice" and looking at the photos, she sure looks like one! 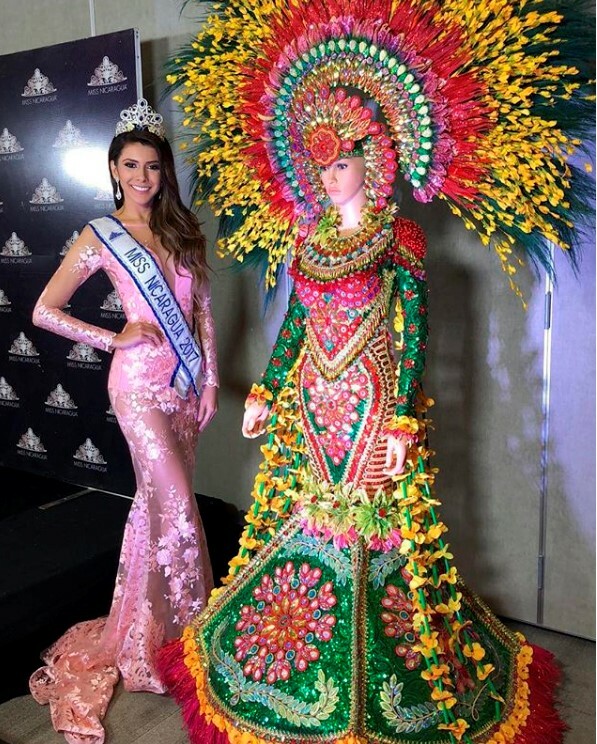 Miss Universe Ecuador Daniela Cepeda: Miss Universe Ecuador is going all-out Pre-Columbian Indigenous Empress with her national costume. The design represents four distinctive regions in Ecuador: 1) Costa (coastal lowlands); 2) Sierra (the highlands); 3) Oriente (Amazon region); and 4) the Galapagos archipelago. 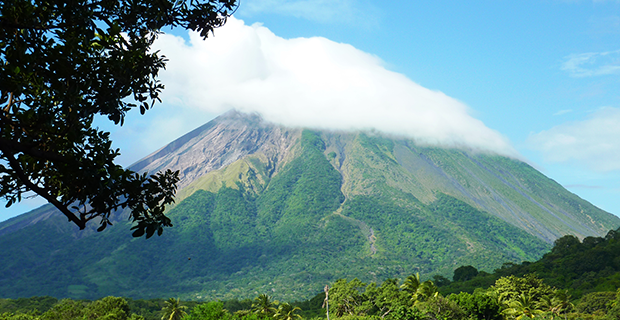 It was designed by Wenceslao Munoz Cedeno. 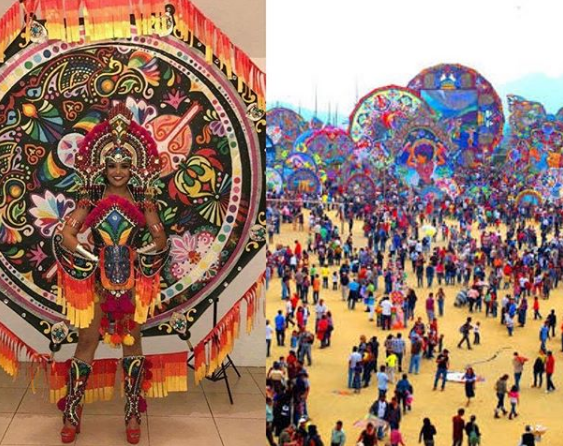 Miss Universe Guatemala Isel Suniga: Isel's national colorful costume was inspired by the Festival de Sumpango/Festival de Barriletes Gigantes, or Festival of the Gigantic Kites. 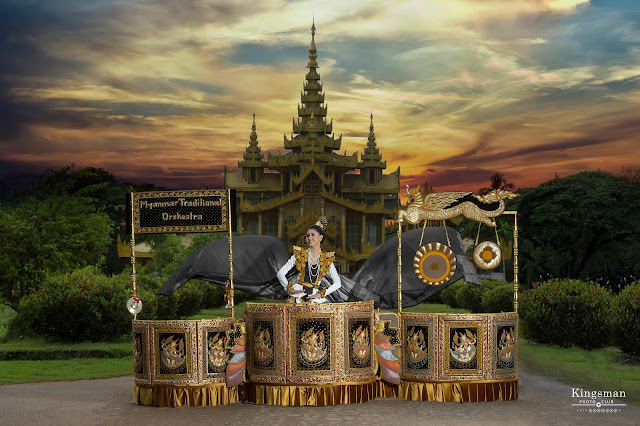 I'm already making the prediction that this might be one of the most impressive costumes of this year's Miss Universe. 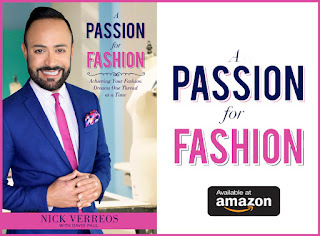 I think it's a different way of showcasing these Pre-Columbian feathered-and-sequined costumes that are have been very popular with the Latin American ladies lately. 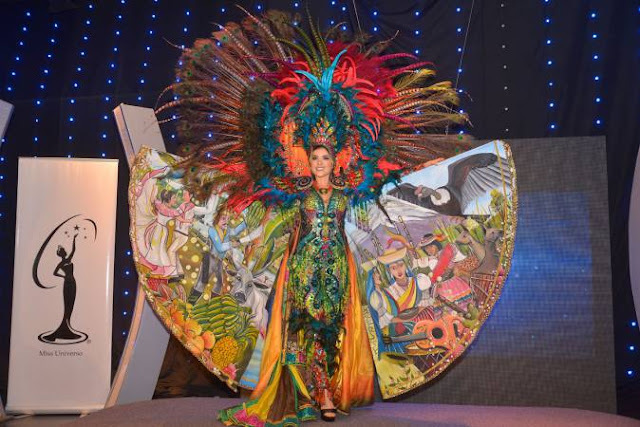 Miss Universe Guyana Rafieya Husain: Miss Universe Guyana’s costume (sketch above) stands eight feet tall and cascades over 10 yards of beaded silk organza. 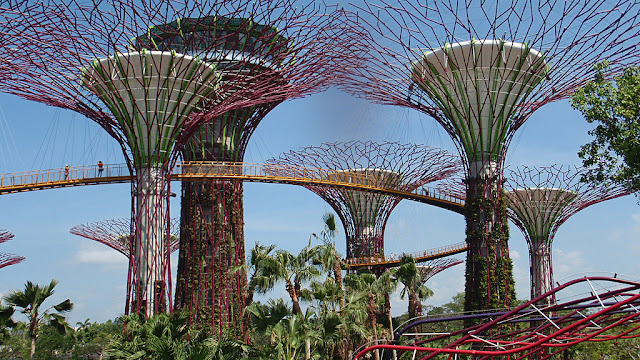 It is layered with over 20,000 crystals and 100 yards of crystal strands, ending in a plume of white spray. This is all done in a relief asymmetrical design, rich in gold and topaz tones. The piece titled “The Jewel of Guyana”, was designed by Zara Khan and is an artistic depiction of the majestic Kaieteur Falls. Can't wait to see the actual costume! Miss Universe Puerto Rico Danna Hernandez: Made by hand with the help of an electric generator because there was no electricity (! ), this costume for Miss Universe Puerto Rico depicts the vivid color of red representing the happiness and passion of Puerto Rico. 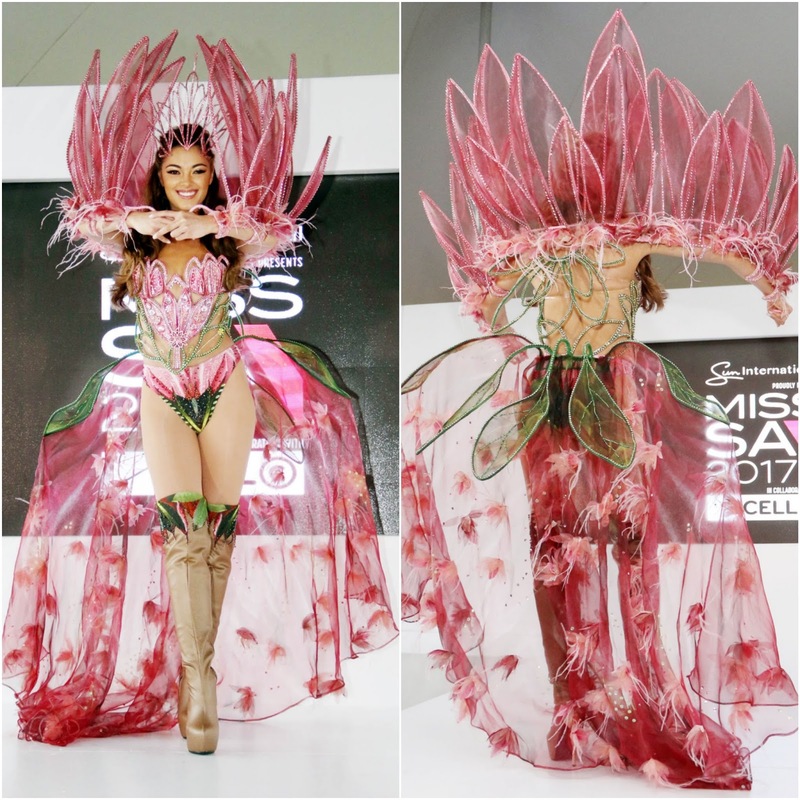 Designed and made by Jaer Caban, the costume is inspired by the Royal Poinciana--also known as "The Flamboyant Tree", the red flowers can be seen in the back "Wings" of her costume. And naturally, she will be proudly holding a sequined flag of Puerto Rico. Miss Universe Venezuela Keysi Sayago: Venezuela's contestant, Keysi Sayago, revealed her national costume via social media and it is a "Venezuelan Warrior". 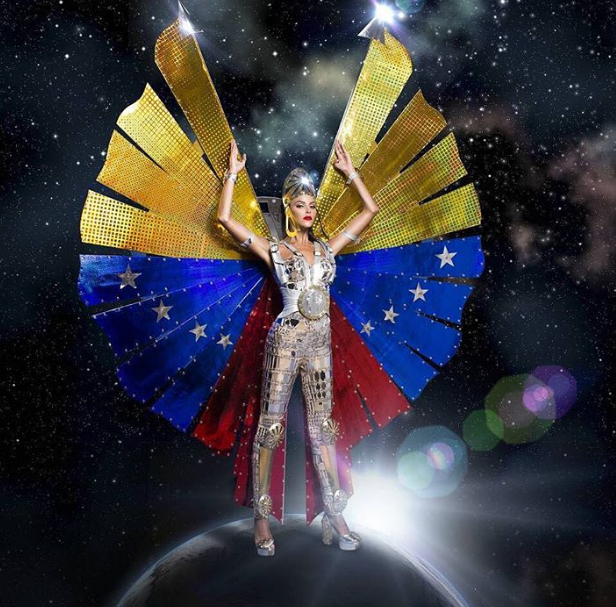 The costume--which includes a metallic silver jumpsuit-like costume and a very glorious "wing" of the Venezuelan flag--represents the brave Venezuelan women and is described as one who rises to the adversity of the present and the future with great history in its sword (coat of arms), worthy thoughts in the present (Bolivar medal), and fair and balanced, intuitive and spiritual protector and above all free (colorful wings of the macaw). 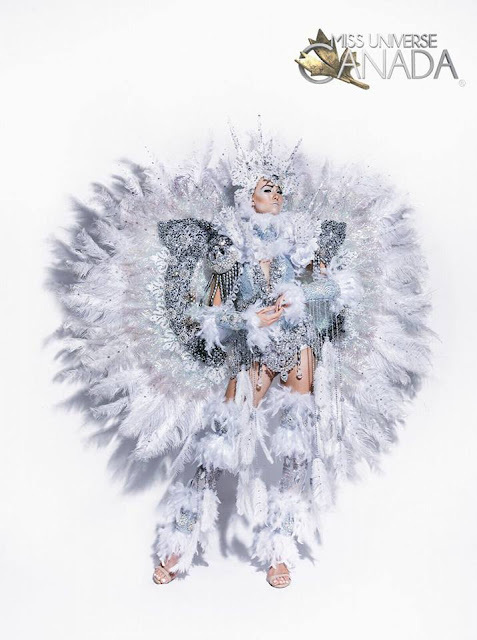 The costume (silver part) is made of mirror acrylics making it look like a metallic shell. The overall effect is this strong, powerful Venezuelan woman ready to fight whatever battles and hardships come her way. It was deigned by Alejandro Fajardo who designed many of the GORGEOUS gowns seen at last week's Miss Venezuela 2017 Beauty Pageant. I love the message and I think the costume makes a bold and powerful statement. 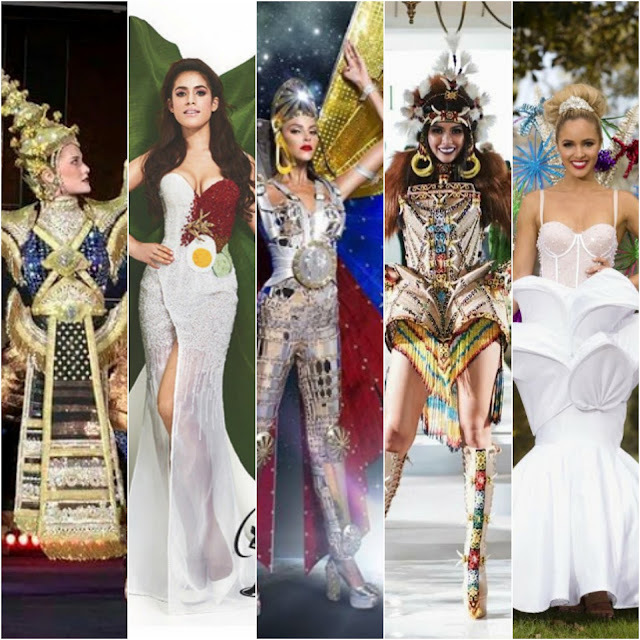 What do you guys think of some of these "Miss Universe 2017" National Costumes? Which ones are YOUR FAVORITES? 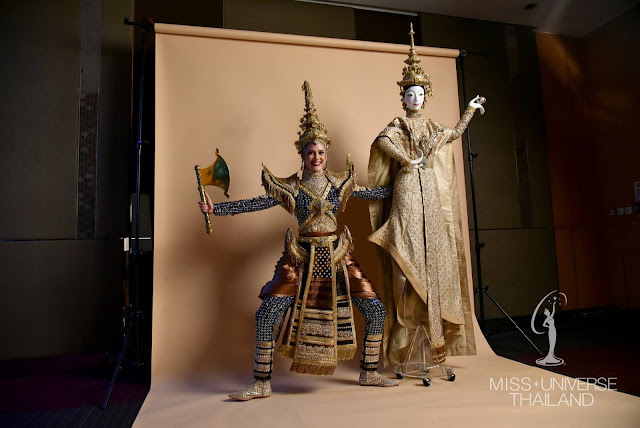 0 Response to "SASHES AND TIARAS.....Miss Universe 2017 NATIONAL COSTUMES: Sneak Peak of 25 Costumes!"